I’m always fascinated by innovative design that is useful, beautiful, and blends science/tech with art in a very unique way. Recently, I came across a series of projects inspired by the Voronoi algorithm. Who wouldn’t want to go to a school like this?? The young—and the young at heart—have a seemingly infinite capacity to project fantasies unto ordinary spaces. It is this kernel of wide-eyed creativity that carries on into adulthood, fighting to stay alive and to push us to keep imagining new and better worlds. Swedish educators seem to have had this in mind when they commissioned the architects at Rosan Bosch to build a wholly original kind of schoolhouse. The Swedish Free School Organization Vittra has been pioneering a new kind of pedagogical space, specifically one without walls. Gone are the classrooms and their rigid alignment of desks, and in their place emerges a colorful, seamless landscape of abstractly themed learning environments. 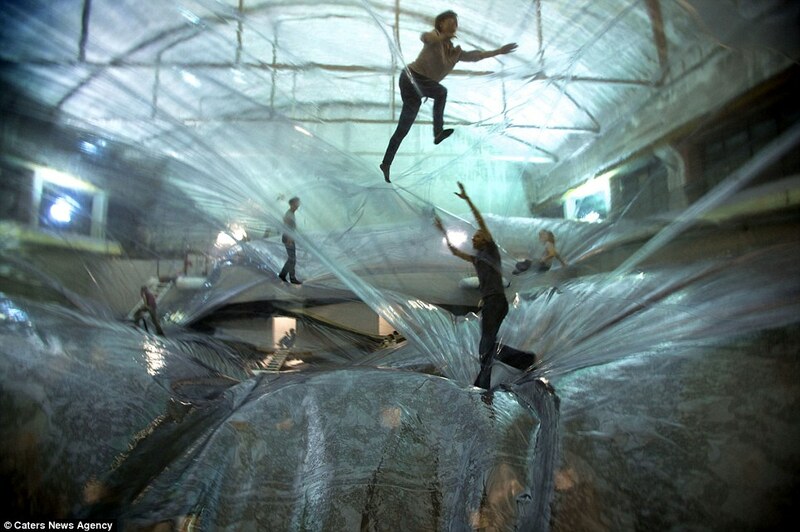 Over the past couple of weeks, MIT Visiting Artist Tomas Saraceno has been setting the design world ablaze with his innovative playground titled “On Space Time Foam.” Currently on display in Milan, visitors (both young and old) can explore a large hangar-like area by climbing around a plastic-bag like maze. Here’s a video of what its like. You can’t see the smiles on the faces of the people climbing around, but several of the pictures I’ve seen show them pretty big.